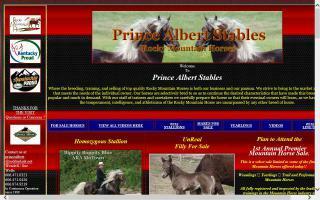 Rocky Mountain Horse Farms and Stallions Directory - O Horse! We specialize in old bloodlines, including Maples Squirrel, Yankee, Cheeks Rocky, Amego Blue, Barlow Chief, and Reb's Big Shot. Cedar Grove Farm is one of the only Vermont breeders of Rocky Mountain Horses and home of CGF Absolutely Incredible, a Rocky Mountain stallion. We usually have weanlings, yearlings, and horses under saddle for sale. 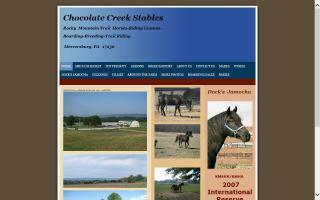 Chocolate Creek Stables is located in Mercersburg, PA. We offer large, well kept pastures, excellent hay (12% mixed grasses) produced on site, a lighted indoor arena, a round-pen, large run-in sheds in all pastures, 12x12 stalls in the barn, and miles of trail riding. Raising Rocky and Kentucky Mountain Horses. Breeding for gait, temperament, and conformation. Old lines. Double J Stables sells, trains, and breeds Mountain Horses. Boarding services available. We breed, show, and trail ride Rocky and Kentucky Mountain Saddle Horses in northeastern Kentucky... Visit our website and check us out! 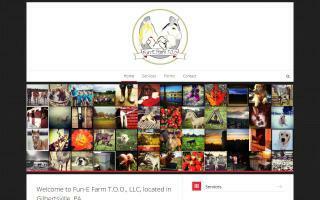 A breeder of Rocky Mountain Horses located in Bellville, TX. We breed foundation bloodlines - many of our foals have all five founding stallions in their pedigree.